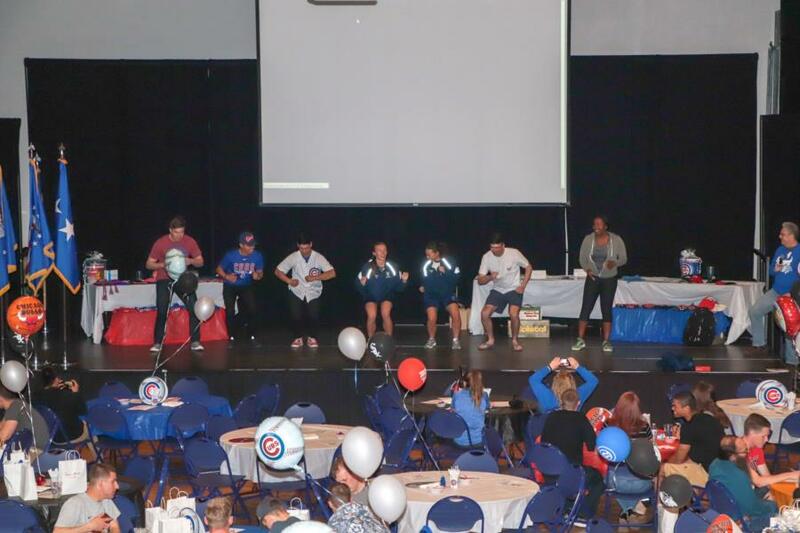 The 11th Annual Chicago night took place yesterday evening at the Arnold Hall Ballroom. 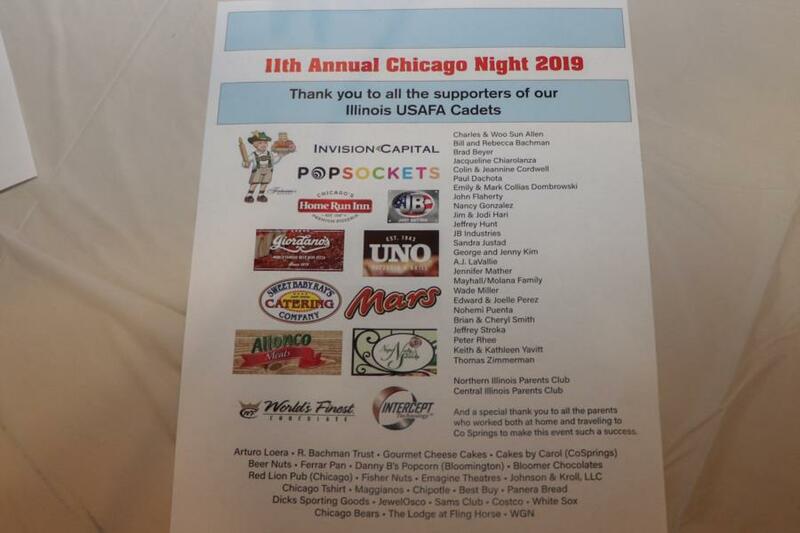 All of the cadets from Illinois were invited and could bring up to 2 guests, over 300 guests in all were fed a taste of Chicago. 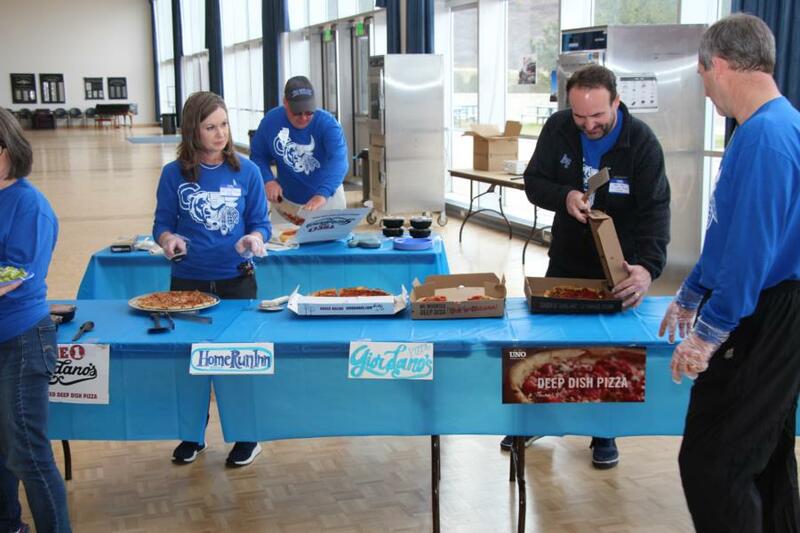 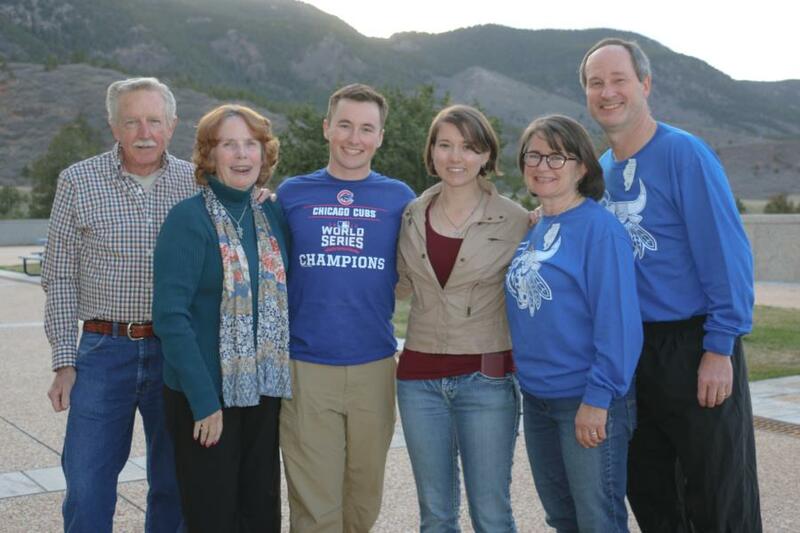 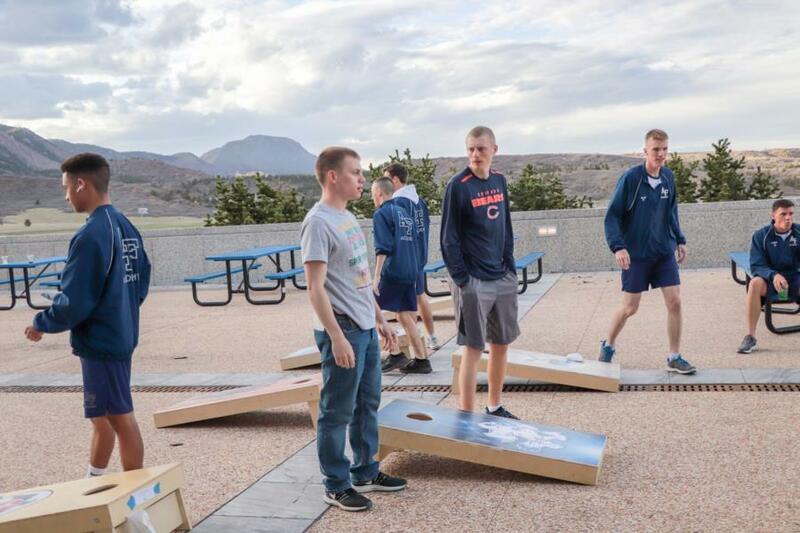 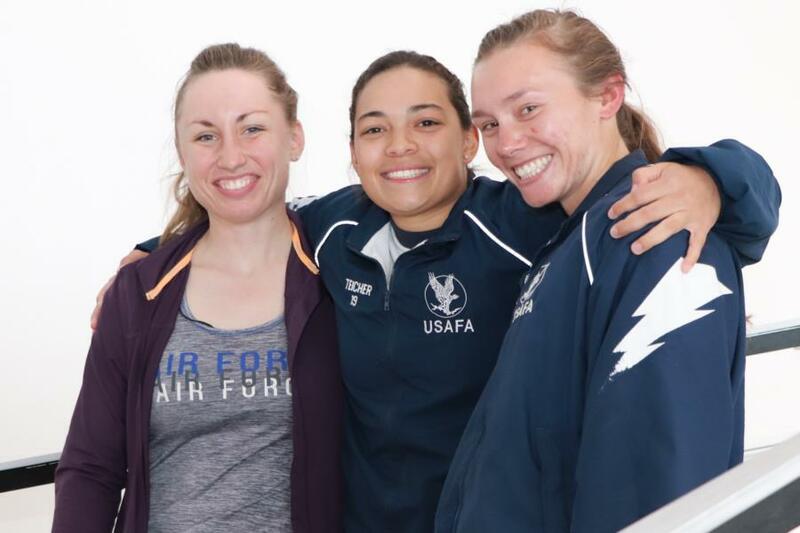 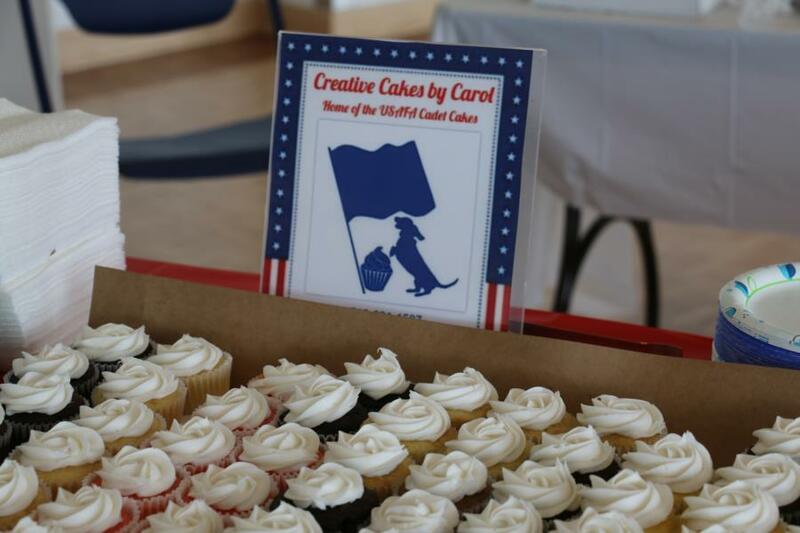 There were 33 parents who made the trip to USAFA to set up, decorate, cook 46 Deep Dish and 15 thinner crust pizzas and prepare all the fixins for the Chicago Hot Dog Bar, cut Portillo chocolate cakes,serve and run games, and give out raffle prizes. 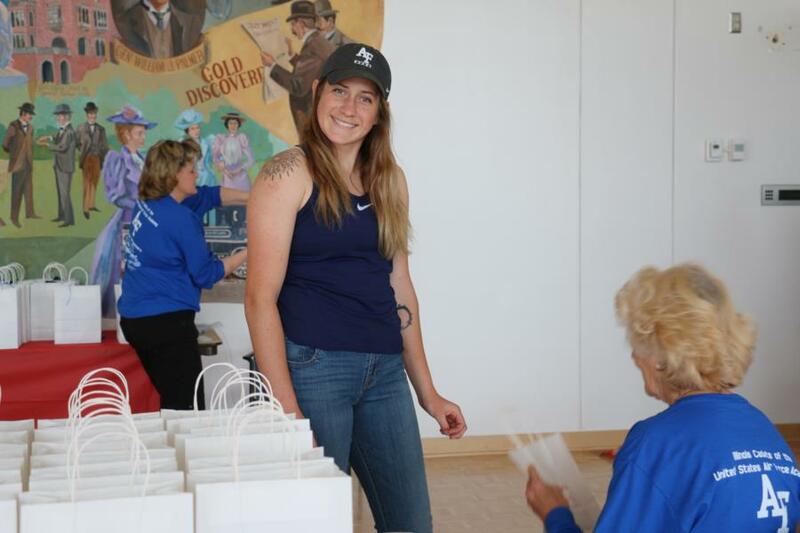 There was another half dozen who helped with collections of donations, and picked up items, who were not able to attend. 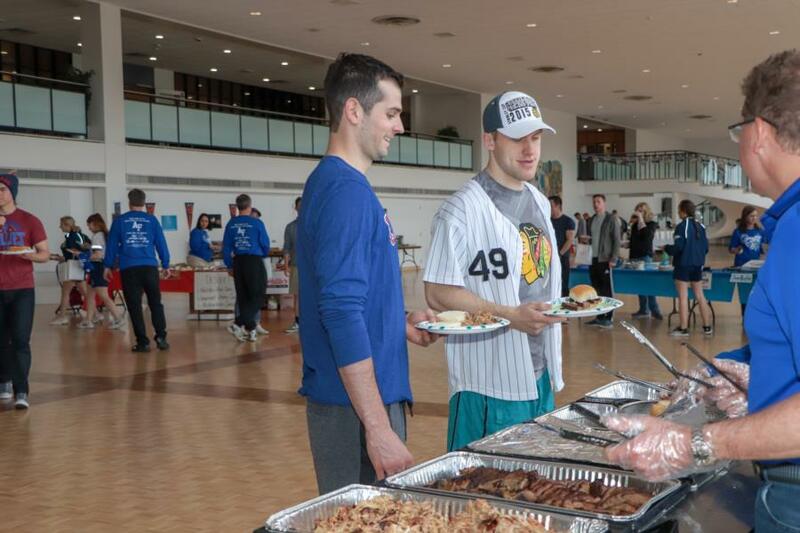 They brought all the food from Chicago-land and it is authentic foods from Chicago restaurants. 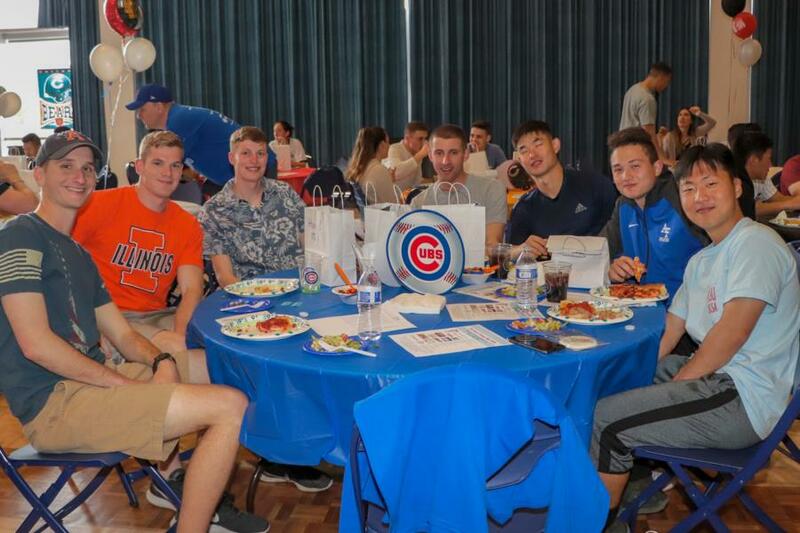 They served Giordonos and Unos deep dish and Home Run In traditional crust pizzas. 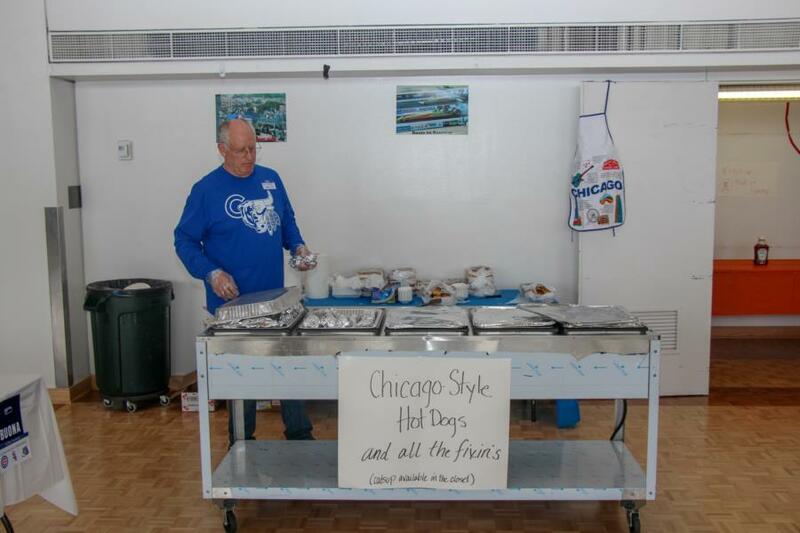 They set up a classic Chicago style hot dog bar complete with all the fixin's and thorough instructions on how to fix your dog "The Chicago Dog (a Windy City classic), is a big favorite with sports fans! 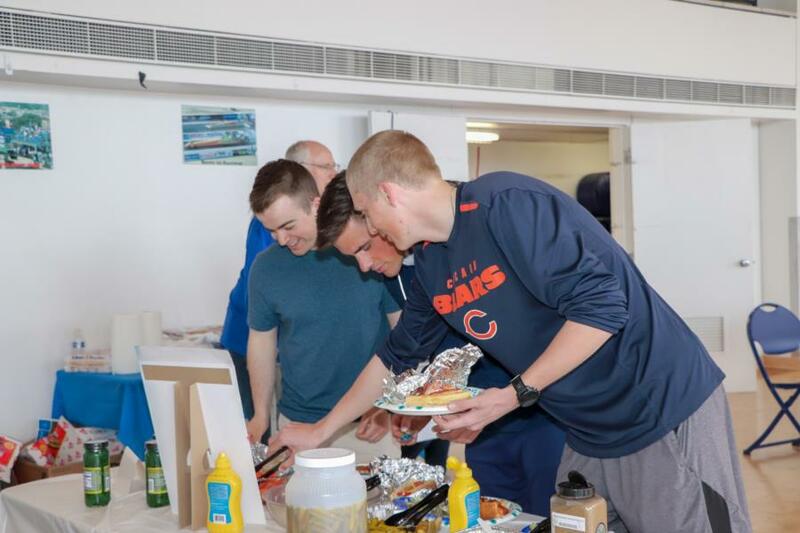 The frank must be all-beef, the bun must be poppy seed, the ingredients must be piled onto the bun in the order specified. 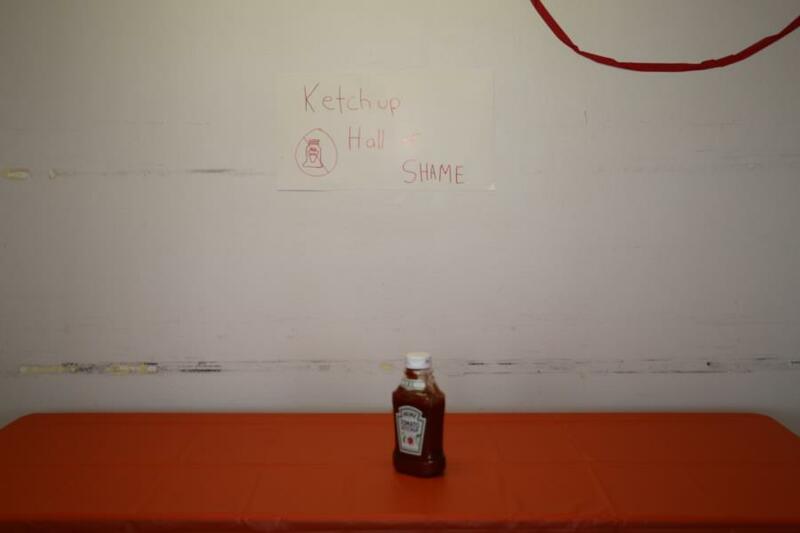 And whatever you do, don't spoil the splendor with ketchup!" 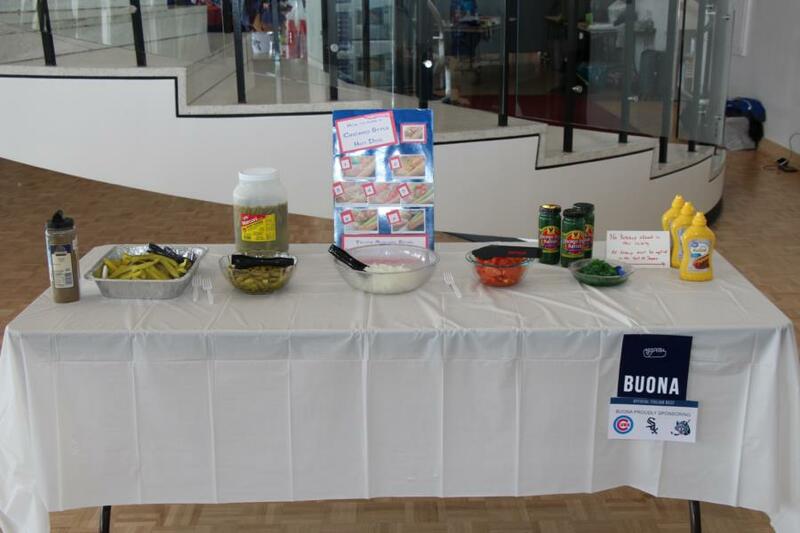 Italian beef sandwiches with Turano buns, hot or mild Giardiniere, mozzarella cheese; Sweet Baby Rays Pulled Pork, chopped brisket and the famous Sweet Baby Rays bar bbq, Chopped Salad with Portillos dressing were also served. 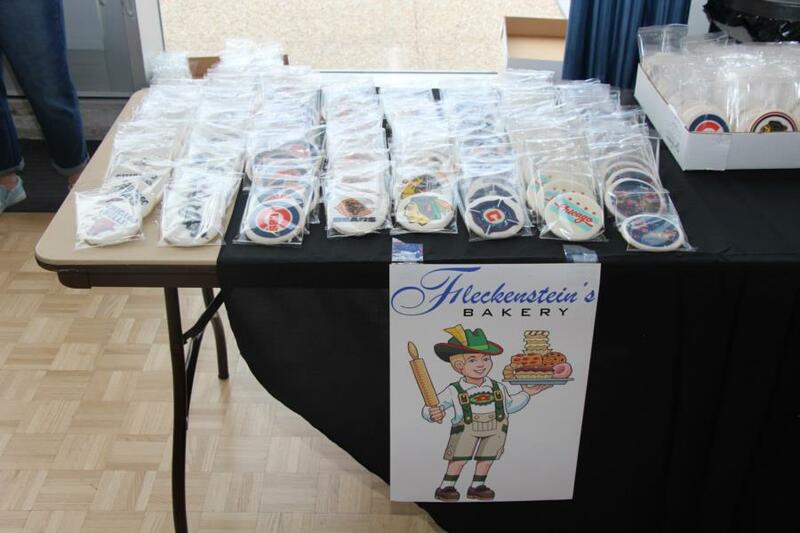 The famous Portillos Chocolate cake, gourmet cheese cakes, Fleckensteins delicious cookies all decorated in Chicago-land sports teams, Naper Nuts and sweets' Chicago mix popcorn, Cupcakes by Carol! 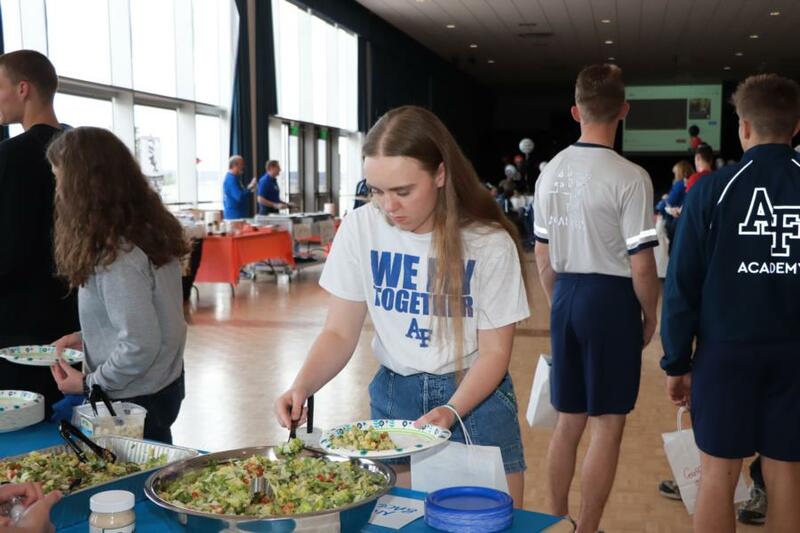 (Colorado Springs) The reason why they served these foods was because they are "staples" for the Illinois resident’s diets. 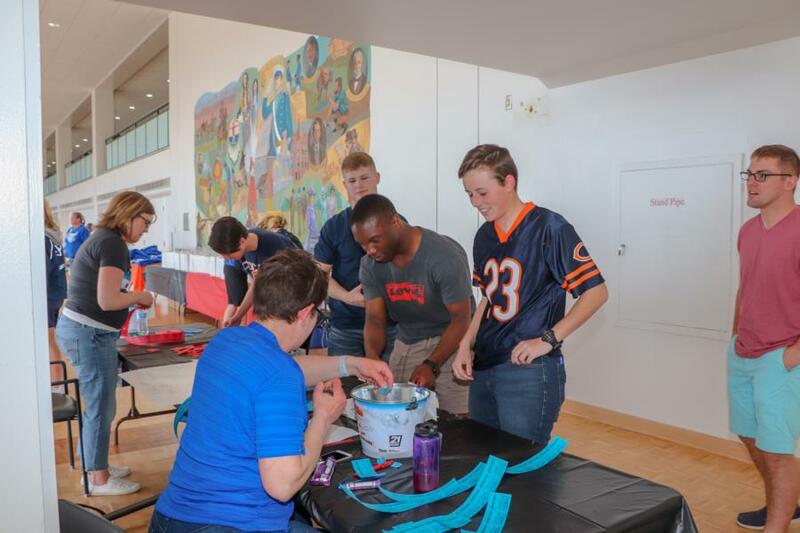 Even though they call themselves Chicago night, they have the support from parents and organizations across the state. 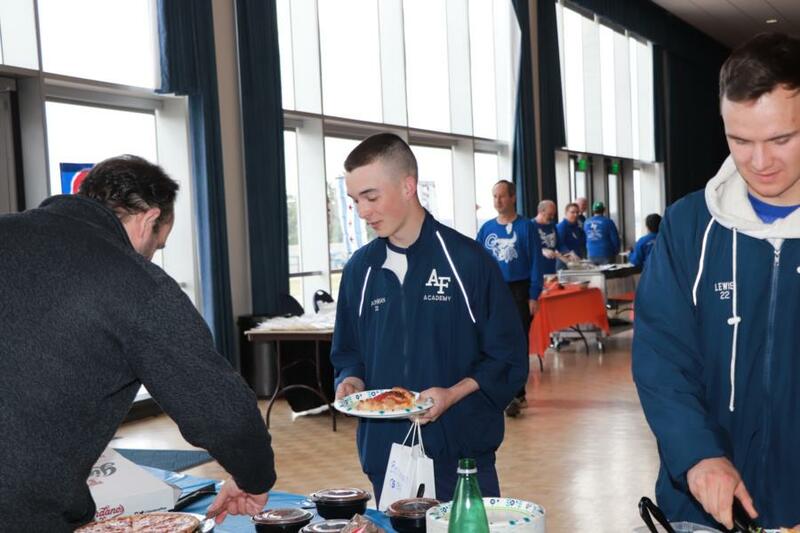 They also served Beer nuts, Fisher nuts and Green River soda. 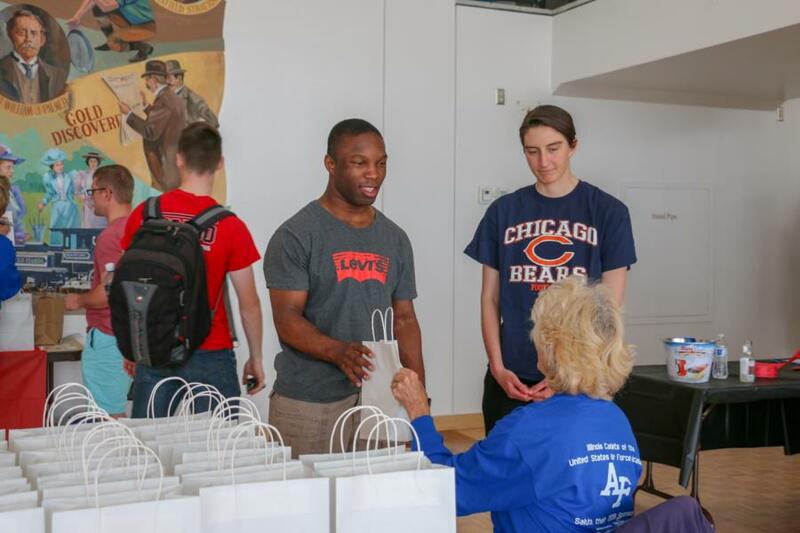 Every Illinois cadet received a $10 grab bag gift card when they arrived. 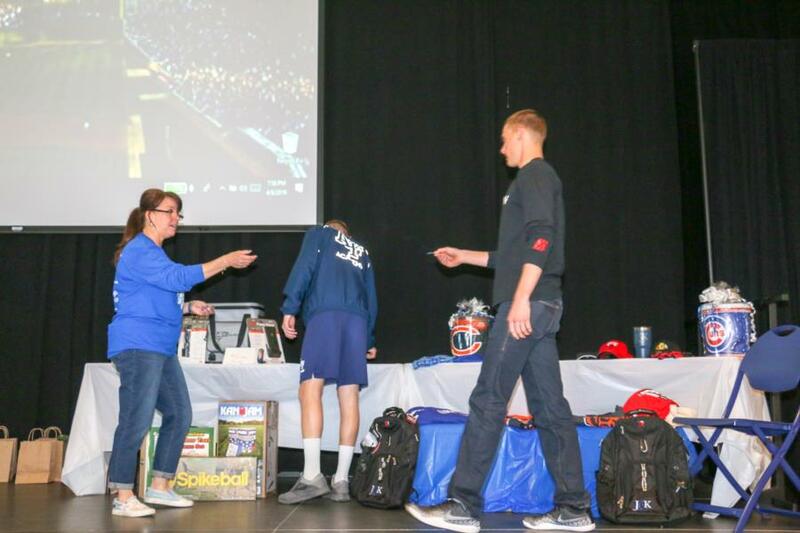 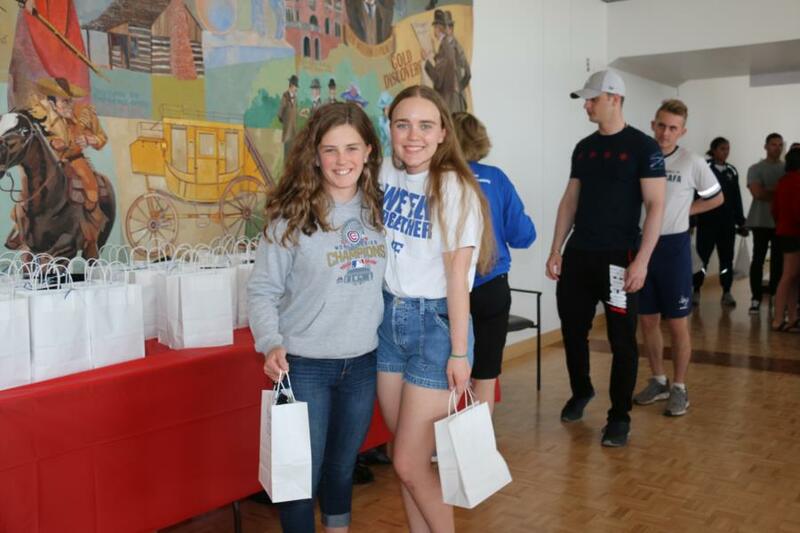 They also received a raffle ticket for the chance to win bigger valued gift cards, as well as a variety of Chicago sport themed swag, portable wireless chargers, speakers, ipods, and more. 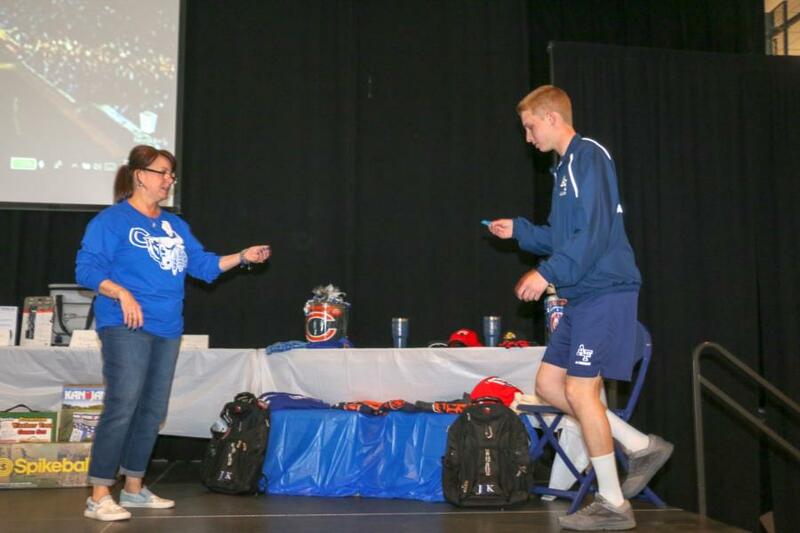 Their guests were given a raffle ticket with the chance to win a variety of prizes. 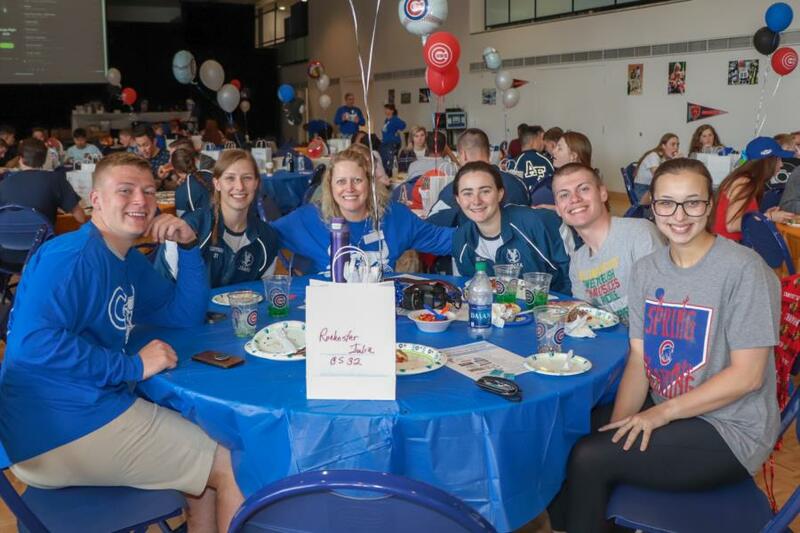 The Parents Clubs provided a fun evening of great food unique to the Chicago area, activities and raffles. 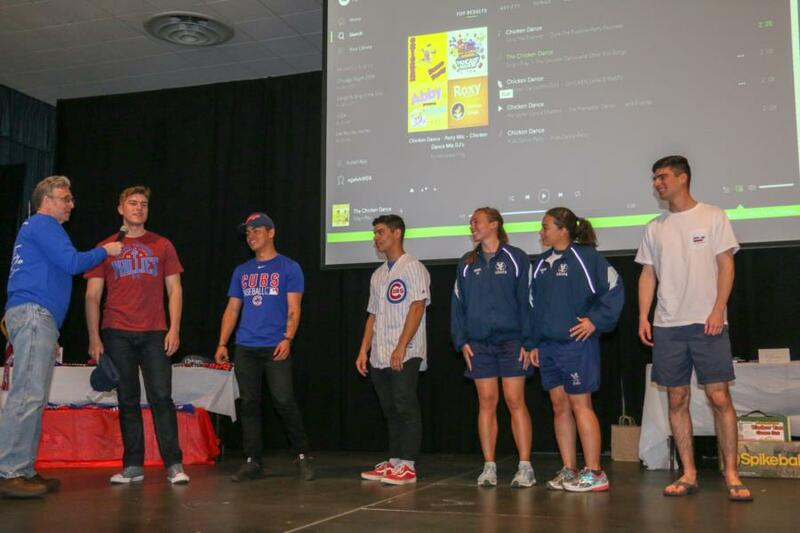 They look forward to hosting the event again next year. 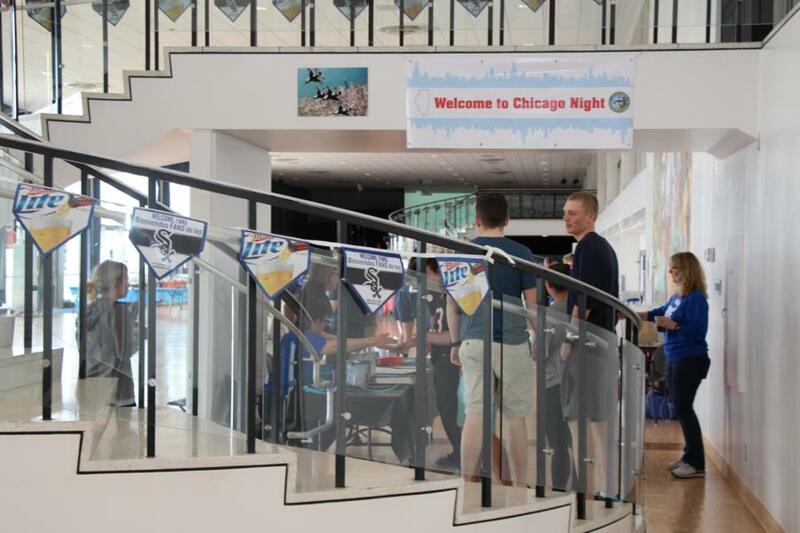 To view all the pictures from Chicago Night, go to Galleries > Extracurricular > Special Events or click the link below.